For father’s day, my family thought a fantastic gift for their Runner Dad, would be a running gift! (Runner Dads are like normal dads… but cooler.) 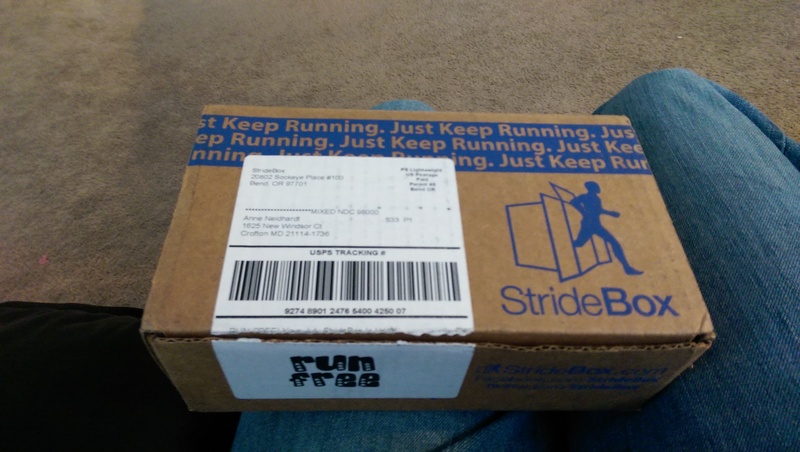 After much research, thought and debating (I can only assume that part), they settled on a StrideBox subscription. The box wasn’t very big when it arrived, so I was prepared to be underwhelmed. Yet when it actually arrived, I was very pleasantly surprised! The picture to the left is the very first box. While a water bottle doesn’t seem like a nifty item – I didn’t’ realize how important it was going to be. Inside were NUUN and(See the purple square at the bottom of the picture?) 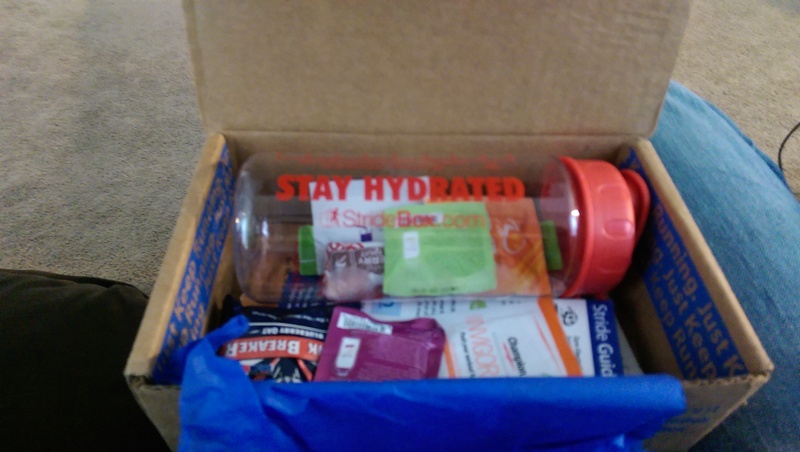 several other drink mixes, of the electrolyte and protein varieties! So far its been neat, I have received 4 or 5 of these and I have to admit – I get super excited.